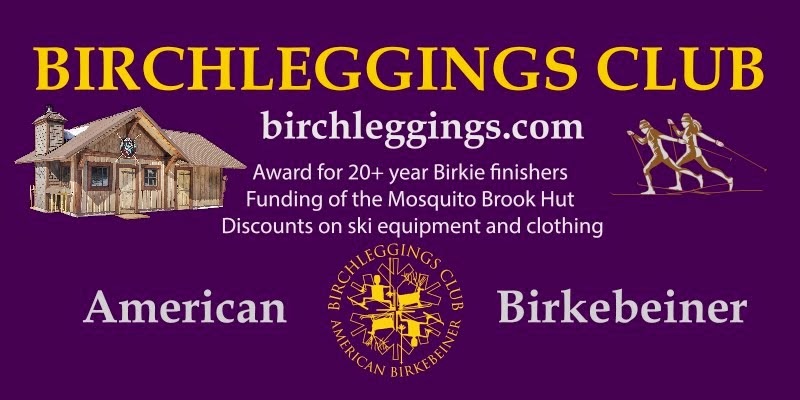 At our annual Birchleggings Club meeting this past October 2017 the board voted to endorse climate action and to sponsor the 53 minutes documentary Saving Snow filmed last year at the cancelled Birkie 2017. Any skier, club, organization or business can endorse either of the actions by filling out the form and joining over 1,500 other endorsors. After last year’s Birkie cancellation many skiers realized that healthy winters can’t be taken for granted anymore. Ben Popp said it best with his statement about why he is concerned and encourages skiers to attend the screenings of Saving Snow. 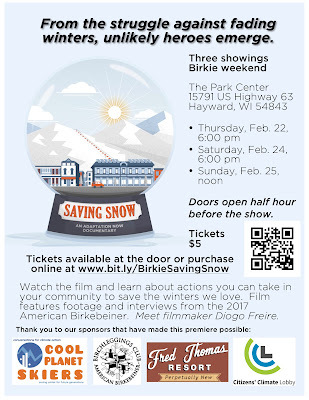 The 53 minute documentary that focuses on the economic impact of warming winters in NW Wisconsin and 7 other states will be shown 3 times during Birkie week at the Park Center on Main St in Harvard. (15791 Hwy 163). Following the film there will be a panel discussion with Birkie skiers, business owners and concerned citizens discussing action steps that skiers and their community can take. Tickets for the film are $5 and can be purchased at the theater before the show or on line. As a special treat this year Diogo Castro Frerie, the director of Saving Snow, will be coming to the Birkie to introduce his film, to ski the Prince Haakon and to speak at the Birchlegging breakfast on Sunday morning. As of this writing Saving Snow is scheduled to be screened in over 170 locations around the country. You and your community can host your own screening and discussion by signing up at this link. Current Olympic Team member Jessie Diggins has endorsed taking action to solve the problem by endorsing a Carbon Fee and Dividend Policy recommended by the Citizens’ Climate Lobby. This policy enacted by Congress would place a fee on carbon pollution at the source (mine, well, port of entry) and return the collected fees to American households as a monthly dividend.